Turnover : £ 14,560 p.w. 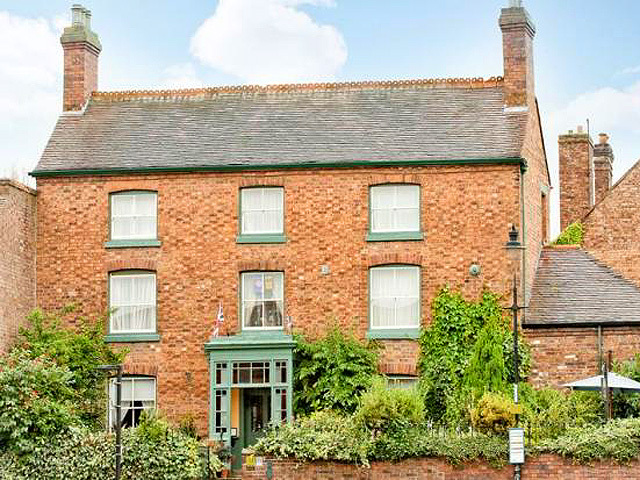 Chaplin Bond are delighted to be able to offer for sale this exceptionally well-presented Guest House and coffee shop, which has an ideal trading location in highly desirable Ironbridge, Shropshire. Standing proud in the centre of the main tourist area, the business regularly features on many of the towns advertising promotions. The area is steeped in history and welcomes a high volume of visitors on a daily basis, throughout the year. The Ironbridge Gorge, museums and Blists Hill Victorian Town are just a few of the local places of interest with a wide variety of attractions to suit all ages in close proximity. This would make an ideal base to explore the surrounding area with excellent ‘A’ road access to nearby towns and the motorway network. Offering 7 beautifully presented king size/double guest rooms, all with en suite facilities, and a coffee shop for up to 50 covers, the business achieves a very respectable T/O in excess of £250,000 pa with high G/P returns. Rent is payable at £46,800 per annum. There is massive scope to increase T/O by offering additional evening dining. Our clients have worked hard to build up the business and reputation and are now looking for a lifestyle change. This would make a wonderful business and lifestyle change opportunity and early interest is strongly recommended.